Order in the next 5 hours 8 minutes for delivery on Thursday, April 25. 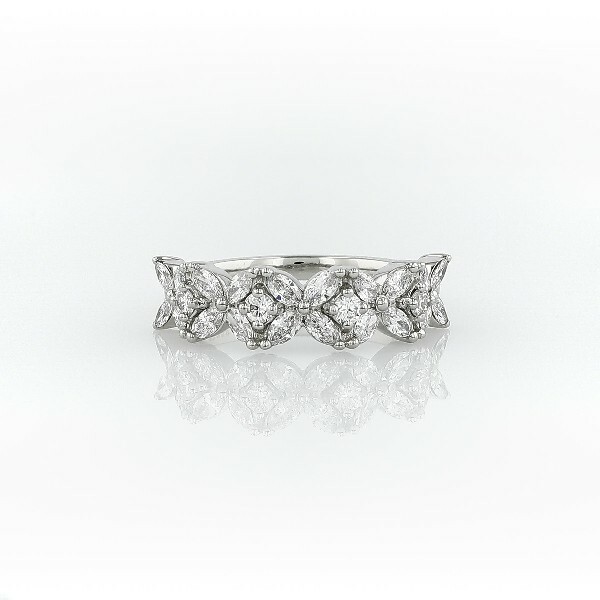 The Cherie anniversary ring is the perfect feminine addition to your wedding jewelry. Petite round and marquise-cut diamonds alternate in stunning floral pattern that is both delicate and alluring.